Early morning ZenmaX Natural Tuning, Sinrin-roku - forest bathing, ritzuzen in the wild Czech forest, to nurture all your senses! ZenmaX is Body Orientated Mindfulness, an alchemistical fusion of Taikiken, Tai Chi, Qigong, Traditional Chinese Medicine and Taoism. Health of body, mind, and consciousness, if all three levels in good health, you can have a rich life and do the things you want. Aiming for an interesting and meaningful life, means that by practicing the ZenmaX model, you make inventory and balance in your life and if necessary make adjustments. You gather insights about the dynamics of life, as one continuous flow of events, from conception to death. Martial arts in special Taikiken will form the basis of Zenmax, you thoroughly develop combat skills that can be applied in practically all situations of life. You develop a balanced attitude to life, in which you act in uncertain and threatening situations and compete successfully. ZenmaX rebalances your San Bao, your three units of Self: Protoself, Coreself and Autobiographical self, the aim is to bring them to full freedom of movement. ZenmaX teaches you to focus your attention and experience the accompanying sense. ZenmaX uses kination, imagination and the perceived perception as agent. Standing meditation (Ritsu Zen) testing power (Yuri), and power release (hakkei) are an important part of the training. ZenmaX can be applied successfully in the professional world of sports, business training and personal coaching. Not only practicable in stress or conflict situations, but also similar effective in all other circumstances in your daily life. Experience how ZenmaX as a contemporary way of living reflects the brilliant philosophical brilliance of the ancient Taoist wisdom. ZenmaX is a form of serious real life gaming, passionate, compassionate and effective participation in life itself, if you understand it like this, it can be considered that you have understood the true essence of life as an intrinsically ZenmaX physical, mental and spiritual health game! Taikiken ‘Natural Tuning’ focuses on Kenichi Sawai’s dynamic and natural way of moving. 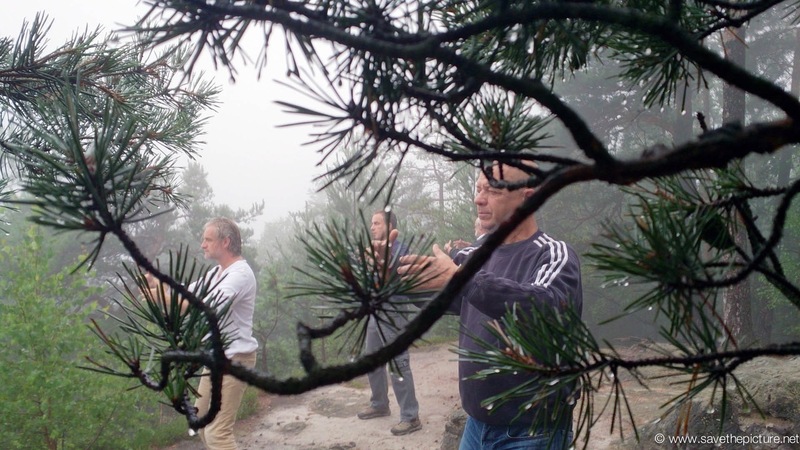 The photo’s are taken during the 2018 Taikiken Natural Tuning Summer week in the wilderness of the Czech republic, in natural beauty and energy similar to the Taoist mountains in China, very rich in Qi (Ki) (Vitality). In Ritsuzen for internal alchemy, ones goal is to connect own mind and spirit with the spirit of Nature, feel and understand the Unity of internal and external. One of the core ingredients of what we call Forest bathing - Shinrin Yoku, Natural Tuning, training Taikiken in free nature.Rooting is back to the future; improve your skills by integrating the internal martial art concept of naikaken. Enjoy Taikiken, as Kenichi Sawai teached it back in the early nineteen-seventies in Meiji Jingu, Tokyo, Japan. Train in and with nature as it is meant to be, optimize your natural skills and apply them intuitively. Taikiken is not only effective in a real fight, but can be applied in everything you undertake in your daily life.